Christmas Eve 5K- 20:25, 6:23 average pace. 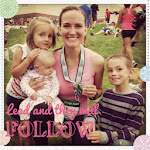 Don't forget to submit your time and photo to us at runmomrunblog@gmail.com. You have until tomorrow night. If you have no idea what I'm talking about, you should click HERE or HERE. We seriously can't wait to see all of you running your guts out just like we did. "Far better it is to dare mighty things, to win glorious triumphs even though checkered by failure, than to rank with those poor spirits who neither enjoy nor suffer much because they live in the gray twilight that knows neither victory nor defeat." Running isn't about winning or losing. It's about getting out there and giving it your all. Merry Christmas to my favorite running buddies! Great job, that is a very speedy pace! I also ran today (I already emailed) and ran it in 28:55 which is great for me! I'm so happy for you! Seriously! You ran an incredible race! Is it lame that part of me wants to go try and run it again? Oooh very fast today! I can't wait to see how everyone did. My time was super slow running with the dogs. Sasha stops to get water every 1/4 mile! Amylee! You ROCK! I'm so darn proud of you! You are ridiculously fast and ridiculously awesome. Congratulations! Merry Christmas! annnnndd you ran up a mountain? Crazy! YAY!!! You are a rockstar!! I am so so proud of you for pushing your limits. You have had an amazing year and 2012 will only be better. You are incredibly fast and awesome!! LOVE IT. You are so awesome. Holy frijole, that is so insanely fast! I have no doubt in my mind that I would need an ambulance if I ran that fast. Awesome job putting together the virtual 5k! Totally forgot to send you my time, it was 31:38!